Clean corroded engine tilt tubes with T&R steering tube cleaning brush. Constructed of steel wire with 8" shaft. 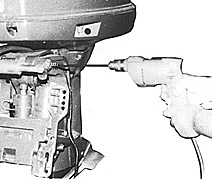 For use with electric drill motor. Comes packaged for peg board display.